Dennis Westcott was born in Wallasey, Lancashire, on the 2nd July, 1917. He played for England Schoolboys before joining New Brighton. Major Frank Buckley signed him for Wolverhampton Wanderers in February 1937. Westcott made his debut for Wolves in a FA Cup replay against Grimsby Town. Playing on the right-wing he scored one of the goals in the 6-0 victory. He joined a team that included included Stan Cullis, Bill Morris, Dennis Westcott, Gordon Clayton, George Ashall, Alex Scott, Jack Taylor, Tom Galley, Dicky Dorsett, Bill Parker, Bryn Jones, Joe Gardiner and Teddy Maguire. Westcott kept his place on the right-wing for the games against Manchester City and Chelsea. For the game against Portsmouth he replaced the injured Gordon Clayton at centre-forward. In the 1936-37 season Westcott scored six goals in 10 league appearances. In the summer of 1937 Major Frank Buckley was approached by a chemist called Menzies Sharp. He claimed he had a "secret remedy that would give the players confidence". It is believed that Sharp's ideas were based on the experiments of Serge Voronoff, a French doctor, who had been born in Russia. Between 1917 and 1926, Voronoff carried out over five hundred transplantations on sheep and goats, and also on a bull, grafting testicles from younger animals to older ones. Voronoff's observations indicated that the transplantations caused the older animals to regain the vigor of younger animals. Sharp's "gland treatment" involved a course of twelve injections. Buckley later explained: "To be honest, I was rather sceptical about this treatment and thought it best to try it out on myself first. The treatment lasted three or four months. Long before it was over I felt so much benefit that I asked the players if they would be willing to undergo it and that is how the gland treatment became general at Molineux." Only two Wolves players, Dicky Dorsett and Don Bilton, refused to undergo the "gland treatment". 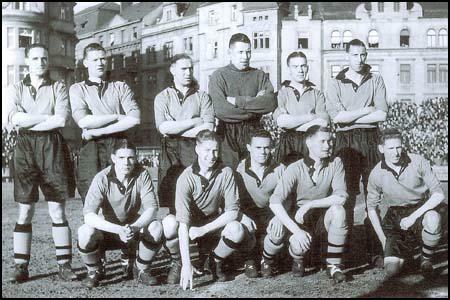 Westcott was out of the team at the beginning of the 1937-38 season. However, Major Frank Buckley sold Gordon Clayton to Aston Villa in October 1937. Westcott replaced Clayton as centre-forward and scored his first hat-trick against Swansea City. He also got four goals in Wolves 10-1 league victory over Leicester City. After this defeat the club complained to Montague Lyons, their member of the House of Commons. Lyons demanded that the government instigate an investigation into this treatment. When Walter Elliot, the Minister of Health, rejected this request, Emanuel Shinwell, the Labour MP, suggested that considering Wolves' impressive form, ministers of the Conservative government should be put on a course of these injections. In the 1937-38 season Wolves finished second to the mighty Arsenal. Westcott finished the season as top scorer with 22 goals in 28 appearances. Westcott did even better in the 1938-39 season. He scored hat-tricks against Grimsby Town and Brentford. That season Wolves finished second to Everton. Wescott scored 43 goals in 43 appearances. His fellow striker, Dicky Dorsett managed 26 goals that season. The captain of the side, Stan Cullis, was generally acknowledged as the best centre-half in the Football League. That season also saw the arrival of teenagers, Billy Wright, Joe Rooney and Jimmy Mullen, in the side. Wolves also enjoyed a good run in the FA Cup and beat Leicester City (5-1), Liverpool (4-1) and Everton (2-0) to reach the semi-final against Grimsby Town . Westcott scored four goals in the 5-0 victory over Grimsby. However, Portsmouth beat Wolves 4-1 in the final at Wembley. Wolves became the first team in the history of English football to be runners-up in the sport's two major competitions in the same year. Afterwards, it was discovered that the Portsmouth players, like those of Wolves, had also been injected with monkey glands. 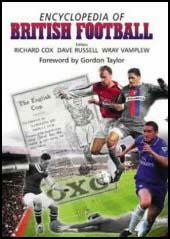 The outbreak of the Second World War in 1939 brought an end to the Football League. The government imposed a fifty mile travelling limit on all football teams and the Football League divided all the clubs into seven regional areas where games could take place. Wolves joined the Midland League with West Bromwich Albion, Birmingham City, Coventry City, Luton Town, Northampton Town, Leicester City and Walsall. Wolves won the 1939-40 championship. Top scorers were Dennis Westcott (26), Dicky Dorsett (16) Jimmy Mullen (7) and Billy Wright (5). 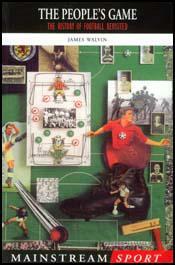 Wolves also won the Football League War Cup in 1942 beating Sunderland 4-1. During the war Westcott scored 91 goals in 76 appearances. Westcott was in great form in the 1946-47 season. He scored four goals in a game against Liverpool. The following Saturday he added four more against Bolton Wanderers. That season he was top scorer with 38 league goals in only 35 games, a club record. The following season he scored 14 goals in 25 appearances before being sold to Blackburn Rovers. Over the next two seasons he scored 37 goals in 63 games for the club. He also played for Manchester City (1949-51) and Chesterfield (1951-52). In his first-class career he scored a total of 200 goals in 300 games. Dennis Westcott died from leukaemia on 13th July 1960.